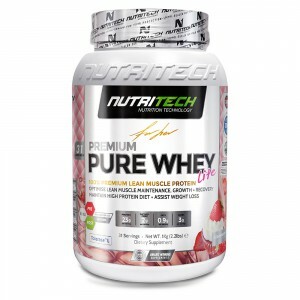 NutriTech’s PREMIUM PURE WHEY LITE protein has been specifically formulated for women of all ages whose goal is to burn unwanted fat, tone lean muscle and reduce inches from their hips, thighs and buttocks. This product has added digestive enzymes which ease digestion and help to avoid bloating. We use premium quality concentrated whey protein in this product for its digestive properties and superior nutrient utilization. 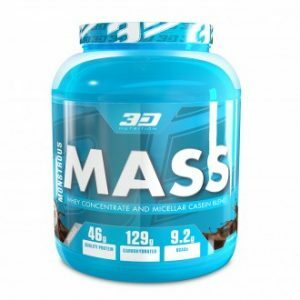 Through extensive research and testing it has been found that the high levels of Branched Chain Amino Acids (BCAA’s) found in PREMIUM PURE WHEY LITE, when combined with a professionally designed low calorie diet and workout program, increase fitness levels and accelerate muscle development. By decreasing the body’s catabolic levels and increasing its anabolic levels, PREMIUM PURE WHEY LITE helps to improve recovery time and to support your immune system. Lite.